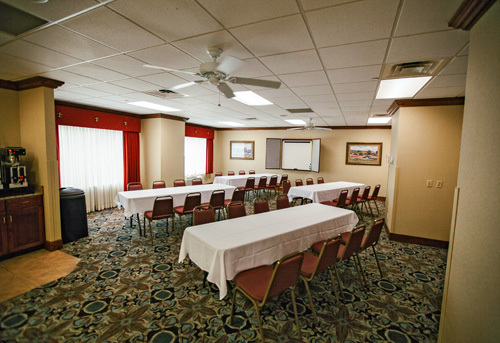 Located off Branson’s Highway 76 Country Music Boulevard, Grand Plaza Hotel offers traditional accommodations in a 10-story building near downtown and the Tanger Outlets. 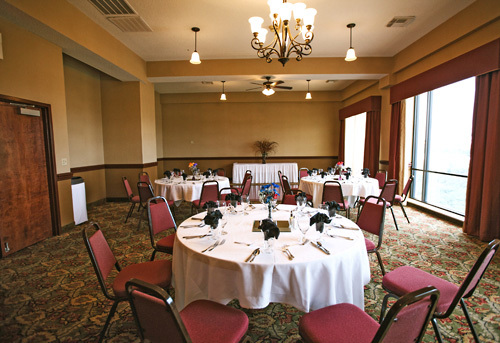 Guests can enjoy a complimentary daily breakfast buffet, an indoor pool and whirlpool spa, a fitness center, a game room, meeting space, and an on-site American restaurant offering picturesque views of the mountains and city. 0.4 miles from shopping at Tanger Outlets. Easy access to 76 and major backroads. Across the street from King's Castle Theatre. 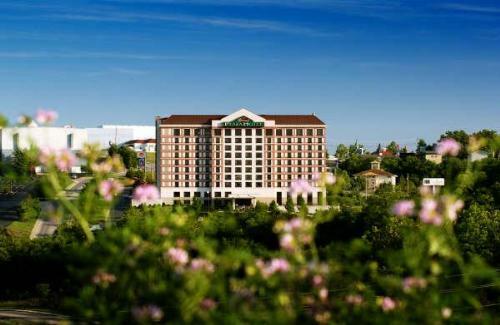 One of Branson's only high-rise properties. 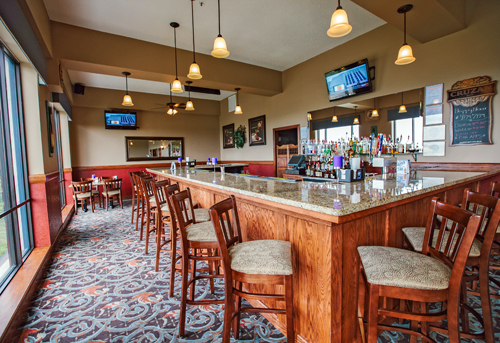 Restaurant and pub on property with panoramic views of Branson. 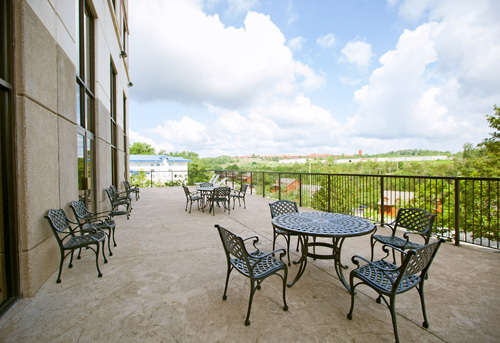 We know your stay in Branson, Missouri will be full of activity and excitement and we will provide you with the comfort and services to make your stay complete. 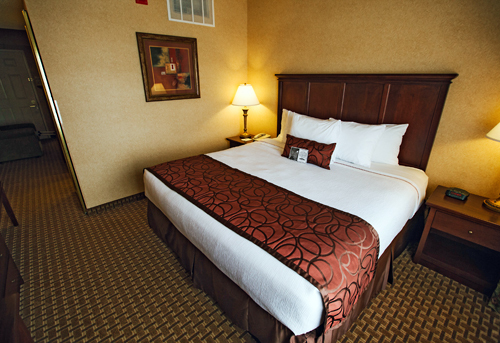 The Grand Plaza Hotel has 200 beautiful rooms, some with jacuzzis, for that relaxing and invigorating soak. 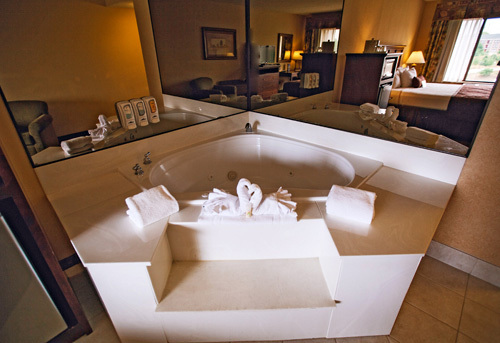 Be sure to leave time to relax in our hot tub which is open to all guests. 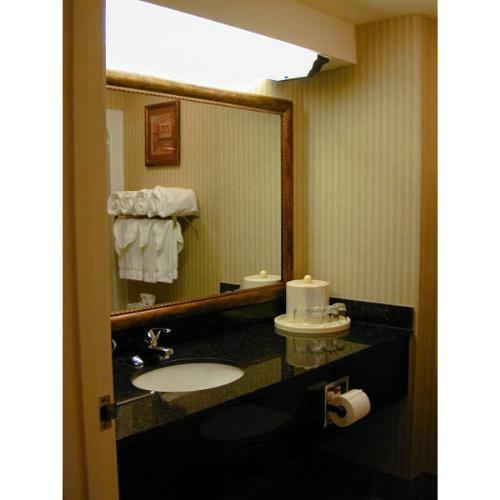 This well pampered property has all the amenities that you're looking for. 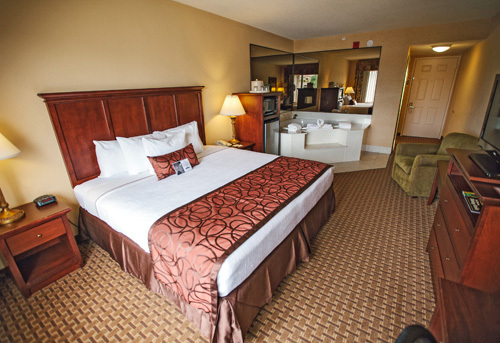 All guest rooms and suites are furnished with 32"flat screen tv's, coffee makers, hair dryers, full size ironing boards and irons. 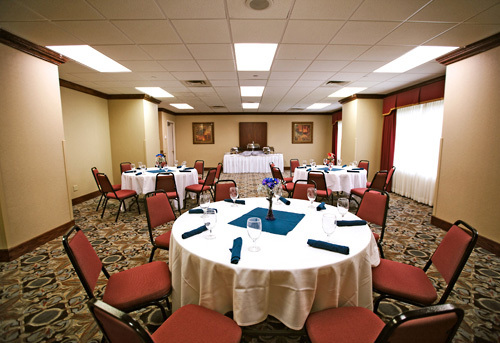 Our Hotel Amenities Include: Complimentary Hot Breakfast Bar, Full Service Restaurant and Newly Renovated Lounge, Meeting rooms available, Guest laundry service, Hospitality that you and your group deserve, Coffee makers, ironing board, iron & hair dryers in each room. 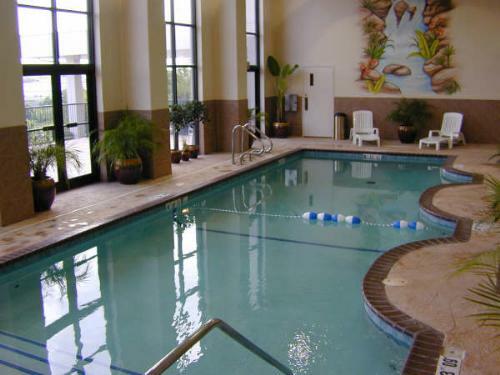 Also, we offer an Indoor Pool, Hot Tub and Fitness Center. This property is all non-smoking and pets are not allowed. 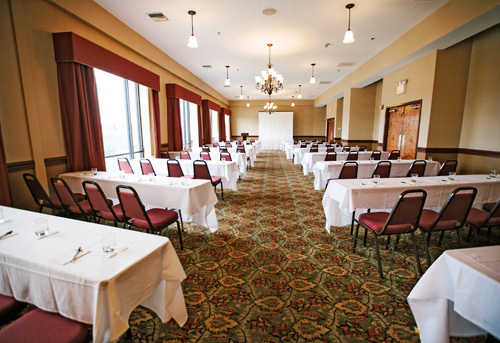 How many rooms are available at the Grand Plaza Hotel? There are a total of 199 rooms. 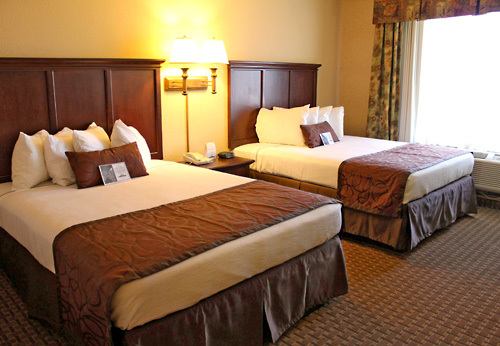 How many adjoining rooms are available at the Grand Plaza Hotel? There are a total of 21 connecting rooms. However, they are only available in suites and handicap rooms. Yes, there is a full service restaurant, Plaza View, on the 9th floor. 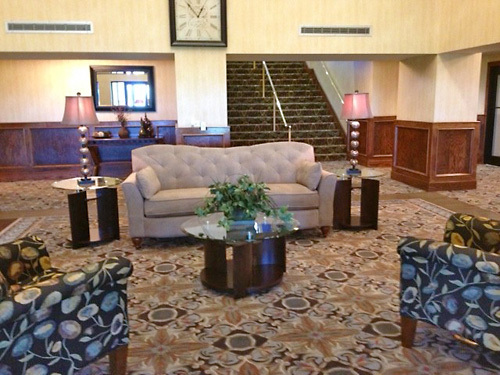 A lounge is also located on the 9th floor. The Branson Variety Theater is 1 block away. Jimmy Johns, Andy Williams Moon River Grill and Dairy Queen are just a few of the nearby eateries. 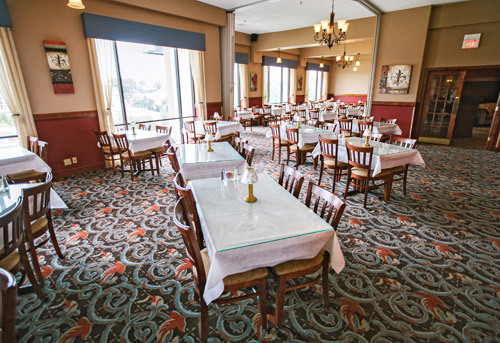 Guests must be at least 18 years of age to check-in at the Grand Plaza Hotel. 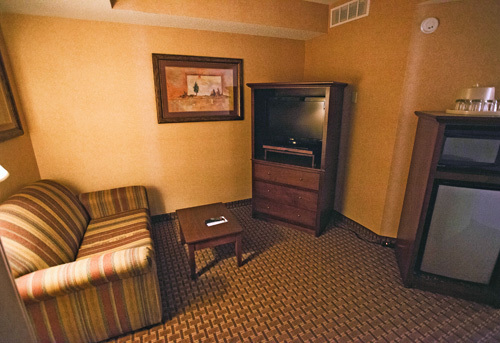 Rollaways: $10/night, Microwaves: $10/night (included in suites), Refrigerator: included in all rooms. We have free parking available to guests. 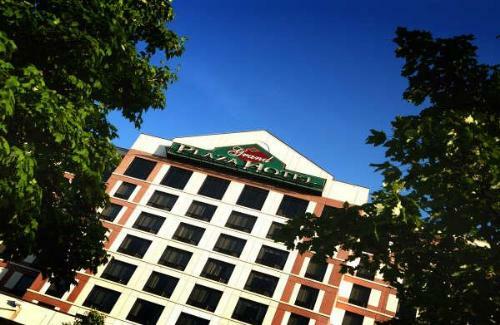 Is late check-in available at the Grand Plaza Hotel?